Ahoy there, Salers. Let's take to the high shopping seas and find us some bargains! All aboard HMS Cheapskate, everyone - don't forget your life jackets! Arrr, etc. Well now, you're going to be a TOTAL BABE in this lace twist maxi from Warehouse, aren't you? Yes, you - you there, sweetcheeks. Buy it. 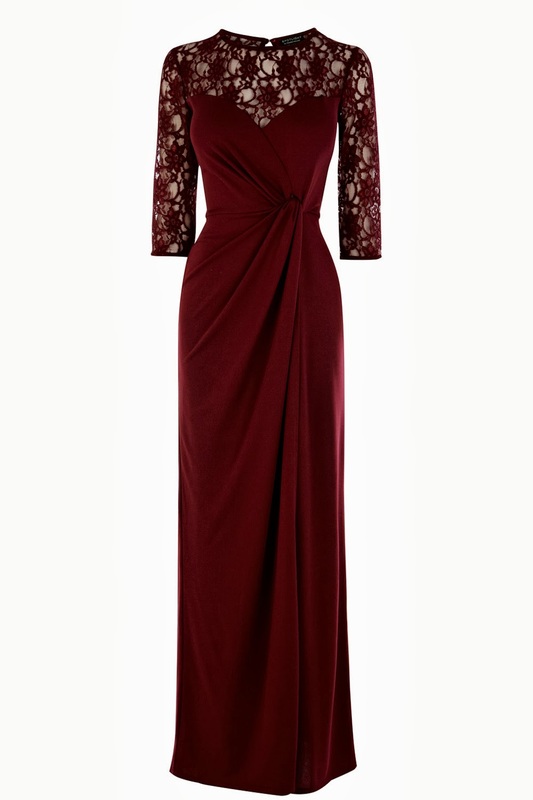 You know you look lovely in floor-length burgundy. Wasn't I just saying the other day how lovely you look in floor-length burgundy? IT'S A SIGN FROM THE DRESS GODS. Now then. Obviously the bare legs/bare arms thing going on in this photo just isn't working for autumn. 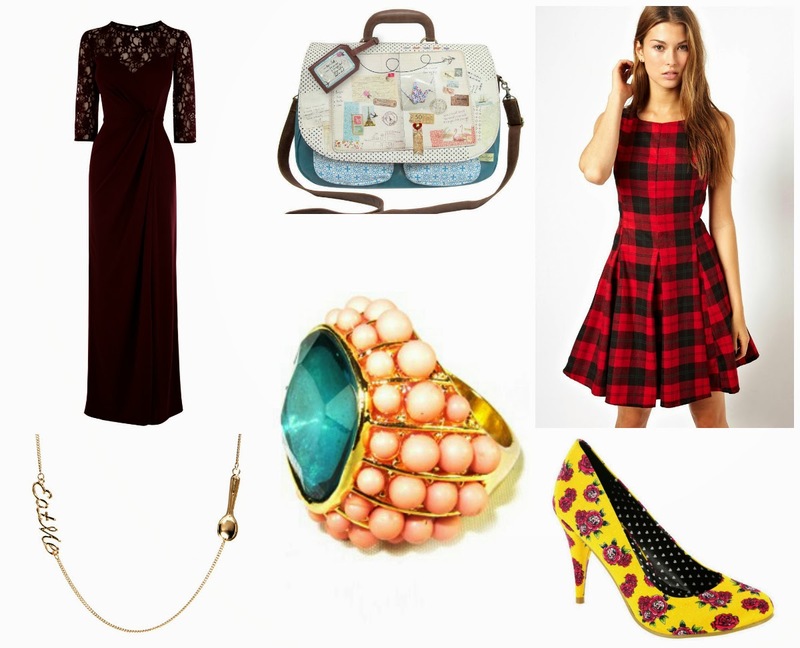 However, the dress itself is practically screaming, "OCTOBER'S HERE! SO IS '90s PLAID! ", which I'm sure you'll agree is pretty much the rallying cry de nos jours, this being the October of '90s Plaid and all. Cosy it up with tights and stuff, and you're set. Go forth and relive your teenage angst. 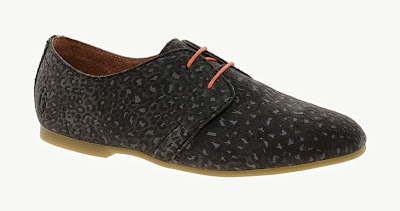 The lesser-known Gloomy Leopard here, making an appearance on these Shoe The Bear lace-ups from ASOS. Note his orange whiskers. Don't worry, he's very friendly, honest. That noise you just heard was the groans and shrieks of my darling Mama B, who try as she might, has not been able to convince her only daughter that yellow and pink are a bad combination. 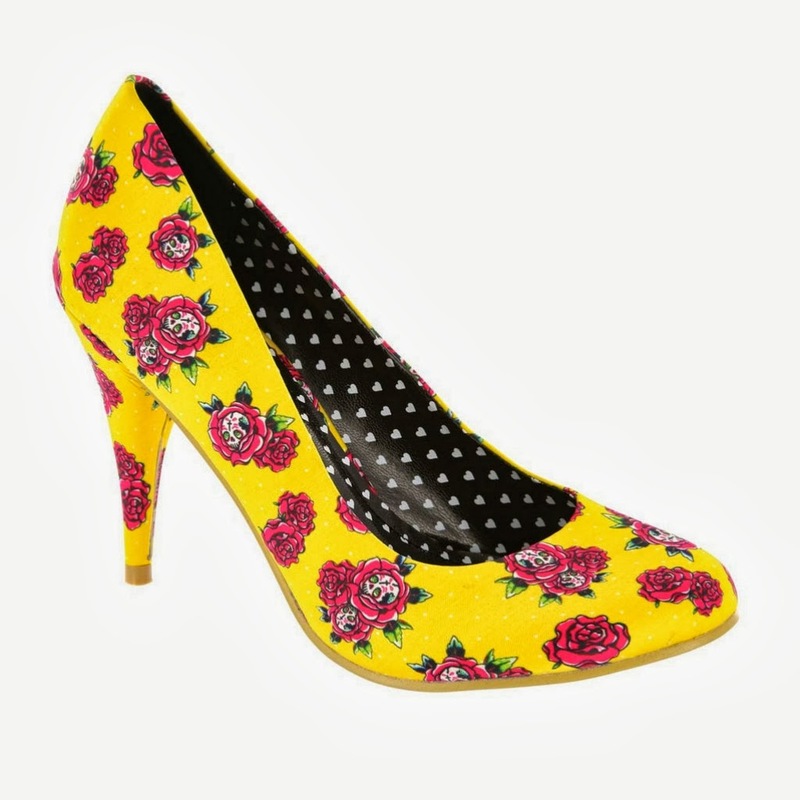 Nope - her most-hated is my most-wanted, never more so than when faced with these Scary Prairie heels from Iron Fist. The observant caption-readers among you will have noticed that they are a mere £15, while the observant photo-lookers will have at once clocked the little skulls nestled in the roses. Cheery, non? 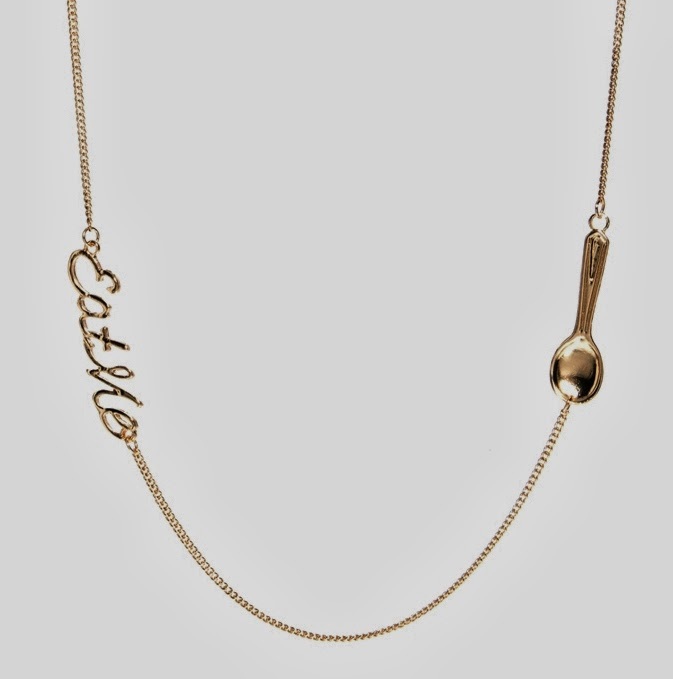 You could get into all kinds of trouble wearing this Alice-inspired Eat Me necklace, as casual passers-by take it literally and start digging into your flesh with the provided spoon. It will be VERY handy, though, when you've bought soup for lunch and have forgotten your cutlery. An unwritten rule in my life: when in doubt, whack on a massive, shiny cocktail ring and hope for the best. 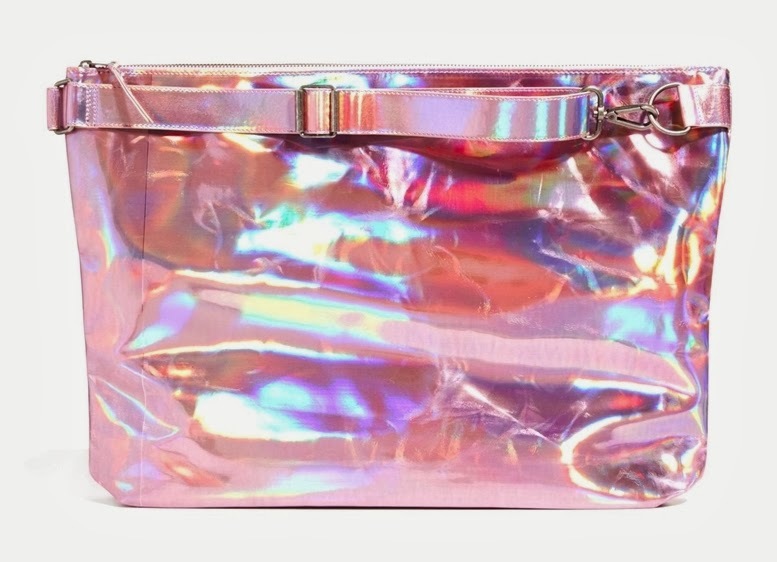 It will detract from a multitude of sins, and doubles as a handy dazzling device for all those times you want to temporarily blind someone in order to steal their cake, crossword, heart, whatever. 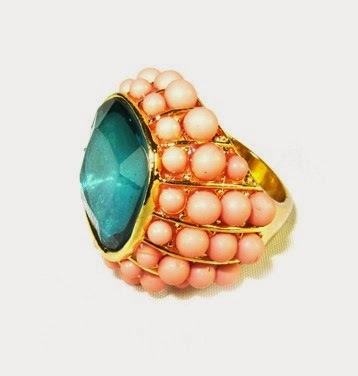 This turquoise and coral ring from Johnny Loves Rosie is particularly nifty for that. And HELLO - it's only £10.80. When I see things that make me squeal with delight, I a) squeal, and b) go all super-Scottish. 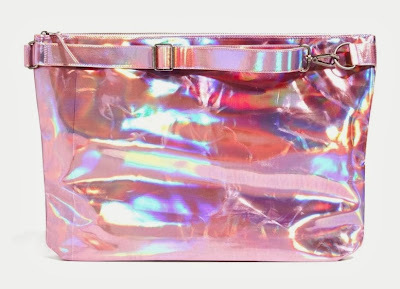 Ergo, when I saw this Cheap Monday bag, I squealed and exclaimed - to no-one - "OCH, I pure LOVE all this holographic pish, man". Those were my exact words. And I stand by them. 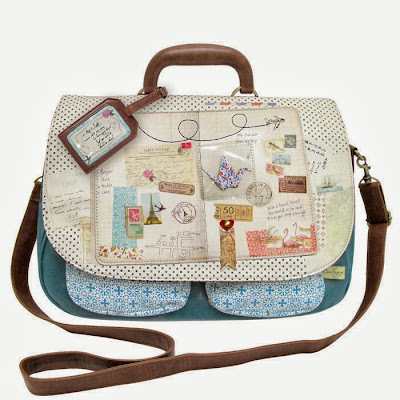 My appetite for whimsy, nostalgia and twee - pretty much my life buzzwords - is extremely high. Dare I say, this Disaster Designs Bon Voyage satchel might be testing even my boundaries? It's so beautifully detailed, though, I just had to include it here. There's an origami swan! A postcard! Tickets and stamps! It's really, really pretty. Did you enjoy our oceanic voyage? Splendid. Next week's mode of transport is TBC. I found a gorgeous electric blue/black bird print dress in the Wallis sale today (I'm not normally a Wallis girl) which is a bit of a steal at £25, I reckon it'll look fab with some boots and a biker style jacket - GO TEAM ME! 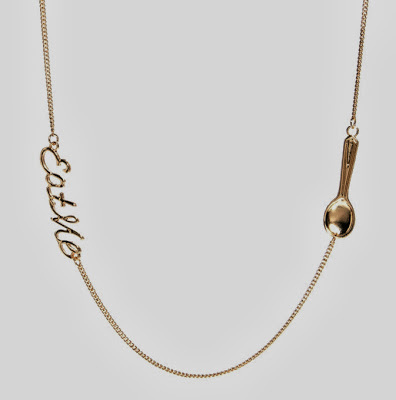 I'd been trying not to buy that necklace, but seeing it again here pushed me to go look at it again, but it's gone back up to £8 now. That's a nuisance. The maxi dress is fabulous though... nice find! I hate when shops do that! It's not fair.